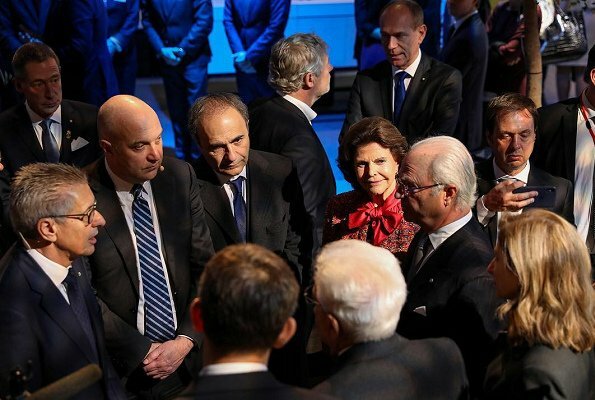 On the second day of his State visit to Sweden, Italian President Sergio Mattarella visited Epicenter, the digital innovation giant of Stockholm, together with Laura Mattarella, King Carl Gustaf and Queen Silvia. 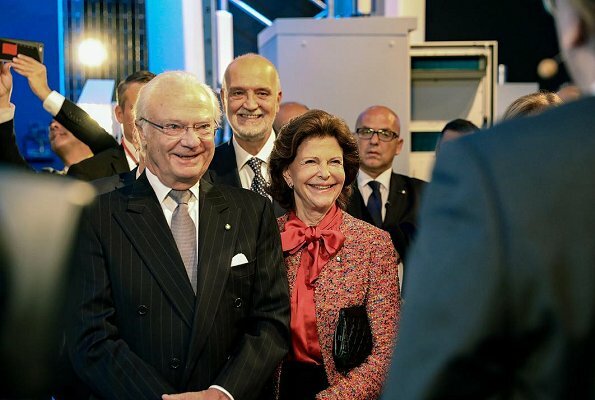 President Mattarella and Laura, and the Royal Couple then visited Ericsson Studio in Kista. 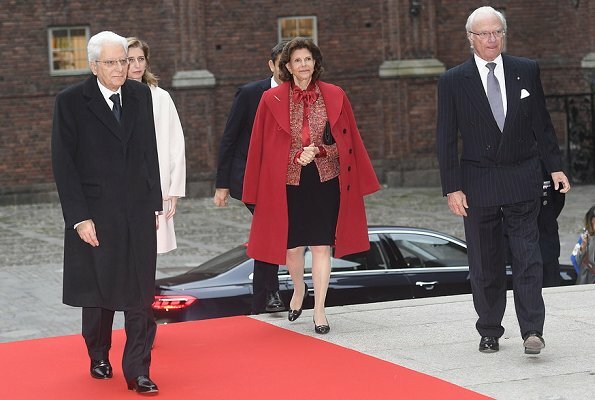 Afterwards, President Sergio Mattarella, Laura Mattarella, King Carl Gustaf, Queen Silvia, Crown Princess Victoria, Prince Daniel, Prince Carl Philip and Princess Sofia attended a lunch at Stokcholm City Hall, hosted by Municipality Council President Cecilia Brinck and Finance Council President Anna König Jerlmyr. In the afternoon, President Matterella and Laura Mattarella visited Nationalmuseum together with the Royal Couple. 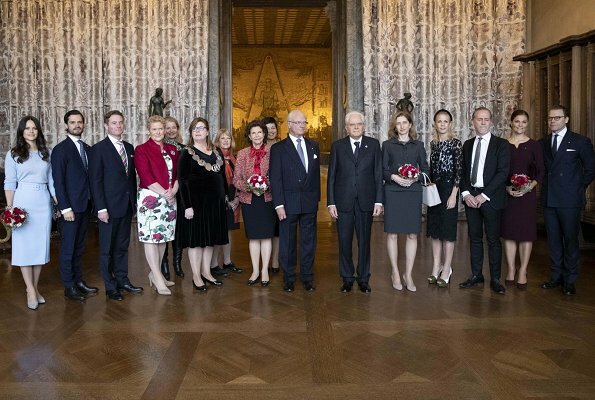 President Sergio Mattarella, Laura Mattarella, King Carl Gustaf, Queen Silvia, Crown Princess Victoria, Prince Daniel, Prince Carl Philip and Princess Sofia attended a lunch at Stokcholm City Hall, hosted by Municipality Council President Cecilia Brinck and Finance Council President Anna König Jerlmyr. Lovely dress on Victoria. Sofia’s dress/separates is über flattering. The queen’s suits is........ fall appropriate I guess. Classy and elegant - all of them. Cut and colors of the outfits are very well chosen. Burgundy is a becoming on CP Victoria. 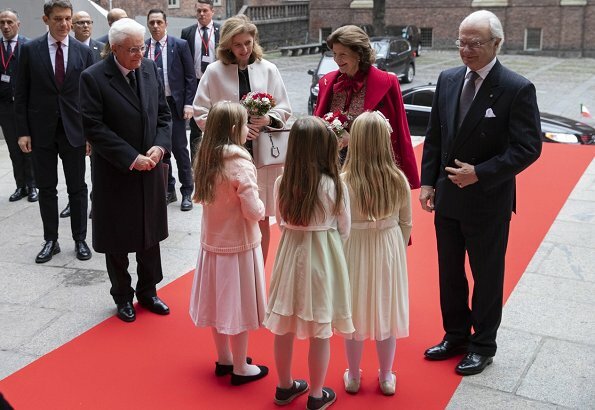 The Queen looks quite youthful in red and Princess Sofia in pastellblue did well. Hairstyle is ok, the Queen looks best. I love Victoria in this dress and coat and shoes! Wow, Victoria sieht hier fantastisch aus!! Schöne Farb-Kombi. 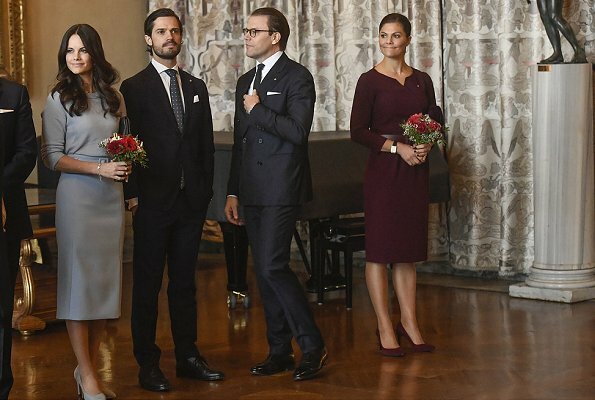 All the Royal Ladies look very good.I think the Queen should wear red more often, she looks great with it.Victoria is in burgundy very flattering,so Sofia in babyblue. 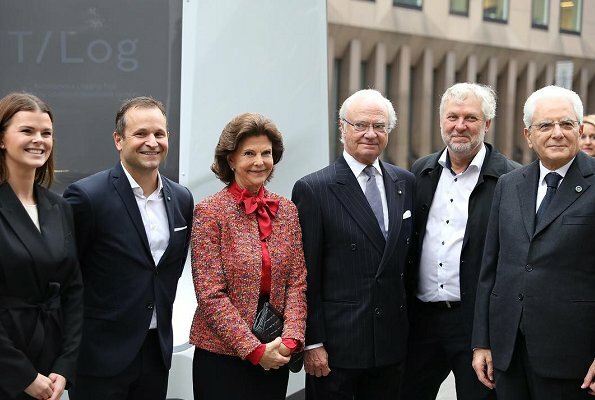 I love the coat of Queen Silvia, it looks very chic. Sofia also looks very, very nice in her outfit, nice colour, great hair! But my favorite is Victoria! The dress is great, the combination with belt and shoes fantastic! 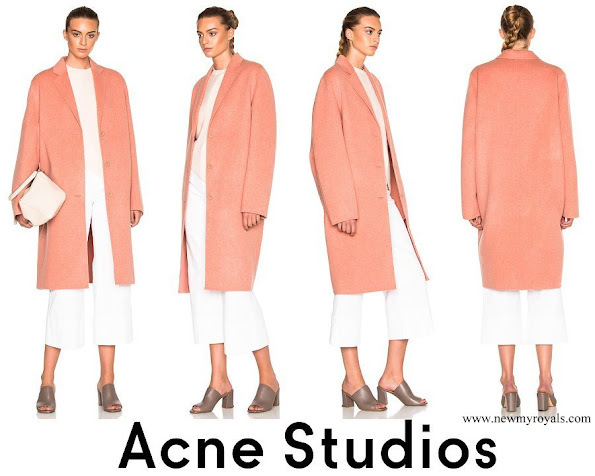 The coat is very nice, too, it remembers me a bit on that fantastic beige coat, that Sophie Wessex was wearing often in the last weeks. Everyone looks great. The pencil skirt on on Sofia blows the pregnancy rumor right out of the water. Victoria in burgundy and the pink coat super. The Queen looks lovely in red. Victoria looks very good, nice dress, fabulous coat. Sofia looks nice as well. 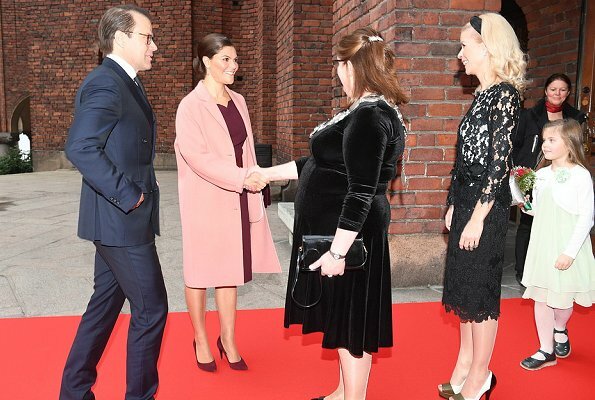 Sofia is very beautiful in this light blue dress and matching shoes, one of her best choices, and Victoria found a great combination of burgundy dress, shoes and nice trendy coat. Pleasure to see! This style is what Victoria always should wear. Clean, classic, just beautiful on her. I hope for no more flower pattern, ruffles, fussy material.